When you think of the words board game, you might think of some of the classics like Monopoly, Scrabble, Risk or even the ancient games of chess and backgammon. 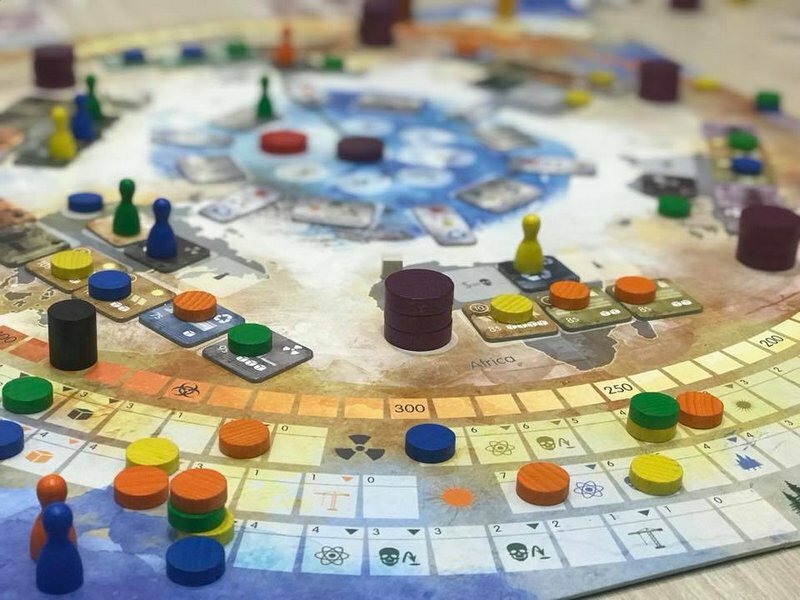 But in the recent years, despite of, or perhaps even because of, the rise of the internet and computer-based games, the humble board game is enjoying somewhat of a renaissance. It’s a global phenomenon and a new breed of board games are now selling millions of copies around the world. Games like Settlers of Catan, in which players compete to settle a fictional wilderness have sold more than 27 million copies since the first edition of 5,000 was released in Germany in 1995. Dominion, a medieval-flavoured card game, released in 2008, has sold 2.5mn copies. 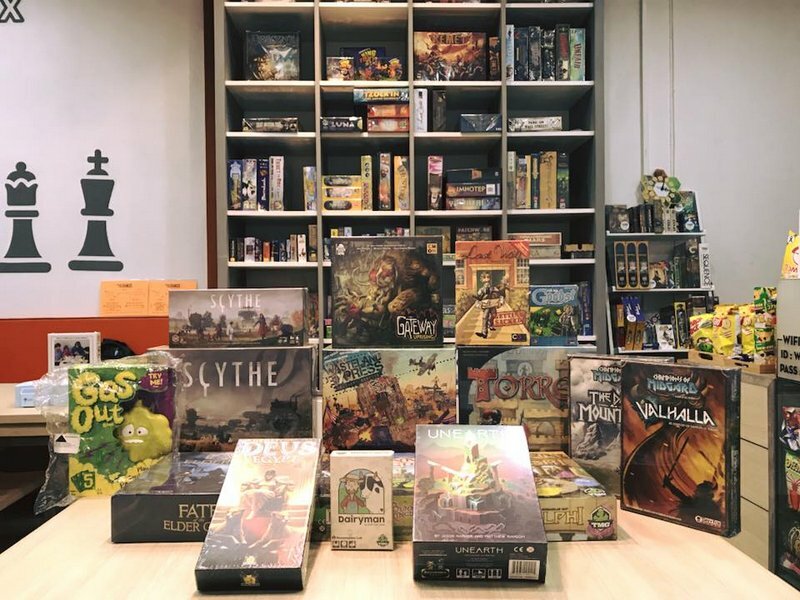 To serve this growing community many board game cafes have also sprung up around the world to provide a comfortable shared space for board gamers of all ages and backgrounds to gather and enjoy their hobby. 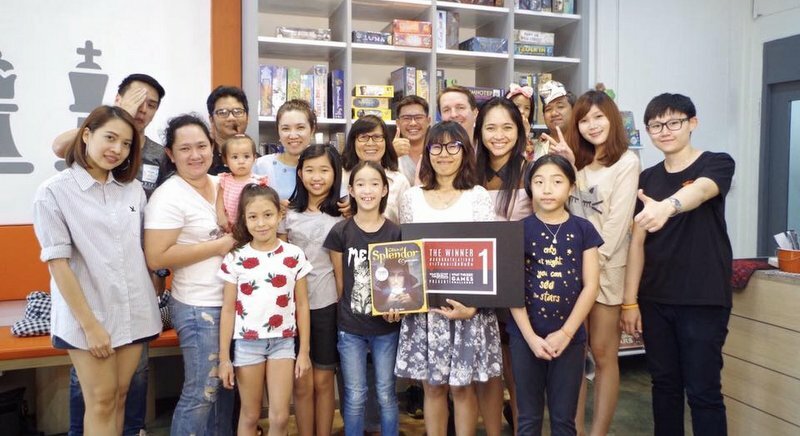 In August last year, Sahaspol “Le” Tantipornsawad decided to open What the Box: Board Games Cafe to accommodate the burgeoning community on the island. 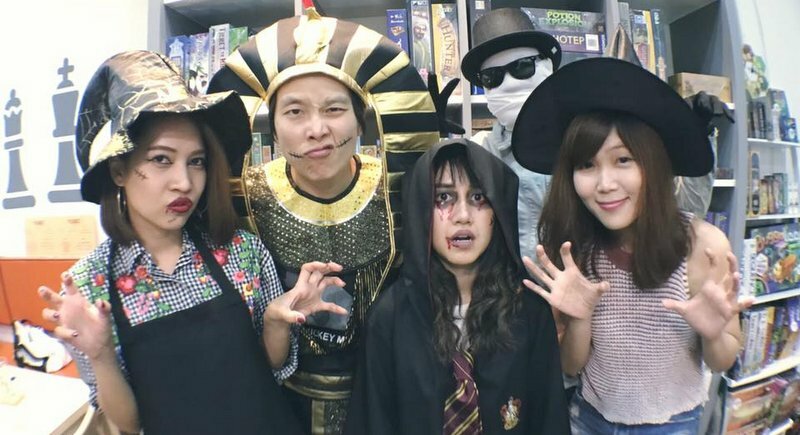 The Phuket News’ Jirarat Rakjamroon recently sat down with Le to talk about how the idea for the cafe came about and what is it that is attracting a growing number of people to take up board gaming. What inspired you to open the cafe? I like playing games. 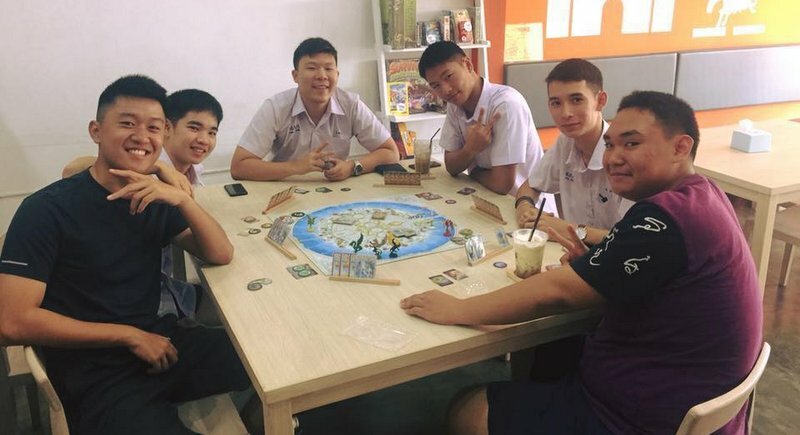 We have a big group in Phuket that has played board games for many years. My friends and I often went to play board games at McDonald’s but later we were not allowed to play there. So we moved to Tom n Toms Coffee but it was very crowded. We tried to think what we should do. We didn’t want to play board games in our group only, we wanted to meet new people and let them know what board games are, so we decided to open a board games café. What can people experience and enjoy when playing board games? Nowadays people almost always play games on their smart phones, but board games will give them a different experience. They can meet their friends in the flesh and it’s more fun to play games with lots of friends rather than playing alone at home. It’s like joining a community. Who are your customers and what do they have in common? Everyone can play. In foreign countries, board games are often considered a family activity. But in Thailand, many people don’t understand board games and think they are a bit nonsensical. In fact, board gaming is an activity that can help people build and strengthen relationships. The games are more fun when you play with your close friends or family. 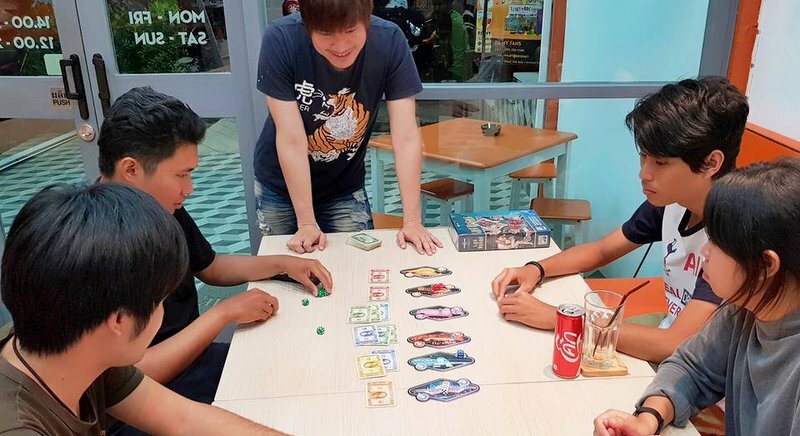 Moreover, if the players come to the café, they can meet new people who like the same thing and get to know each other while playing together. Is it okay to go to the café alone? It’s fine. The number doesn’t matter because you can always join in a game and make new friends here. The majority of board game players are open-minded and friendly. *It’s true. I joined a group of students playing Internal Affairs, a secret identity game where you have to crack each other’s codes and outsmart one another to discover their true identities. It was great fun, even though I was a beginner, and everyone was joking and laughing together. What about customers who don’t know how to play? We have Game Masters (GM) that will explain the rules and teach the players how to play and give them advice while playing until they can play by themselves. And if they have any problem, they can ask the GM a question at any time. The games have many levels from easy to advanced and you can choose any game you like. How does the cafe work and what does it cost to play? 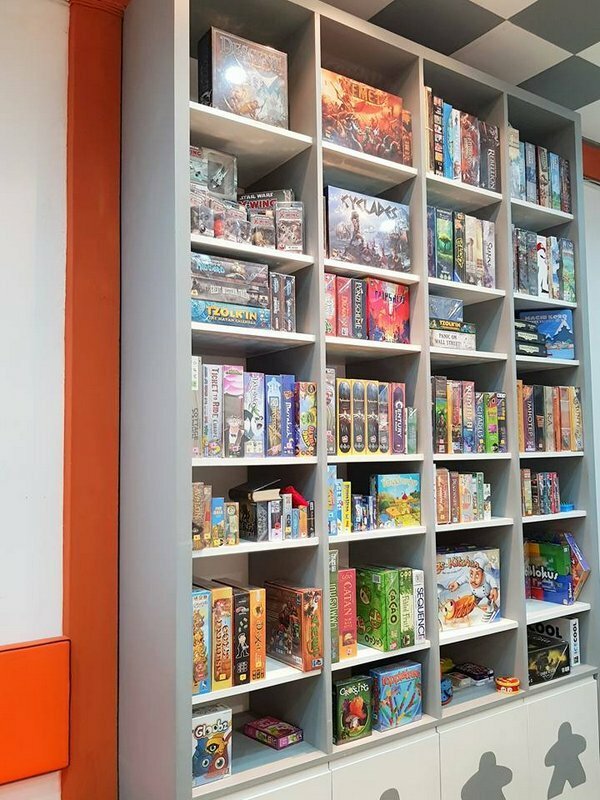 We have board games for rent and customers can order snacks or drinks while they are playing. We charge per hour of playing time: B40 per hour for the general public and B20 for students. You can spend as much time as you want. Do you plan to expand the café or open branches in the future? We don’t have a plan yet. Now we just want people to know about board games more. We have patrons but we want new people to come too, because there are many people who think our café is a computer café. So we are just focusing on helping people understand what our café is and what we do that makes it different. What is the most popular board game here? 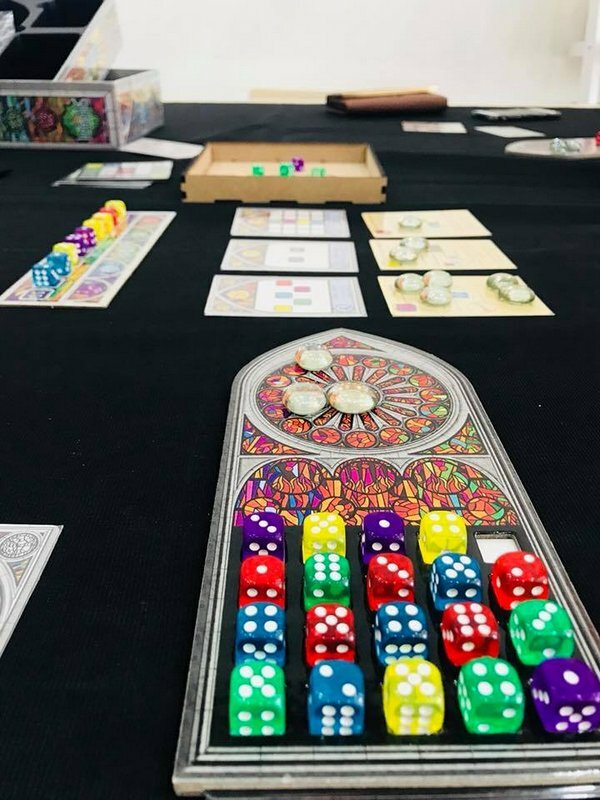 What are the benefits of board gaming? Board games can help the players develop social skills, along with strategic thinking, and logical thinking, as they have to find ways to achieve their goals. In addition, board games can build and strengthen relationships as people play the game face to face and share the experience. They have to communicate with other players and sometimes they have to cooperate to win the game. So board games can also teach you how to work in team.